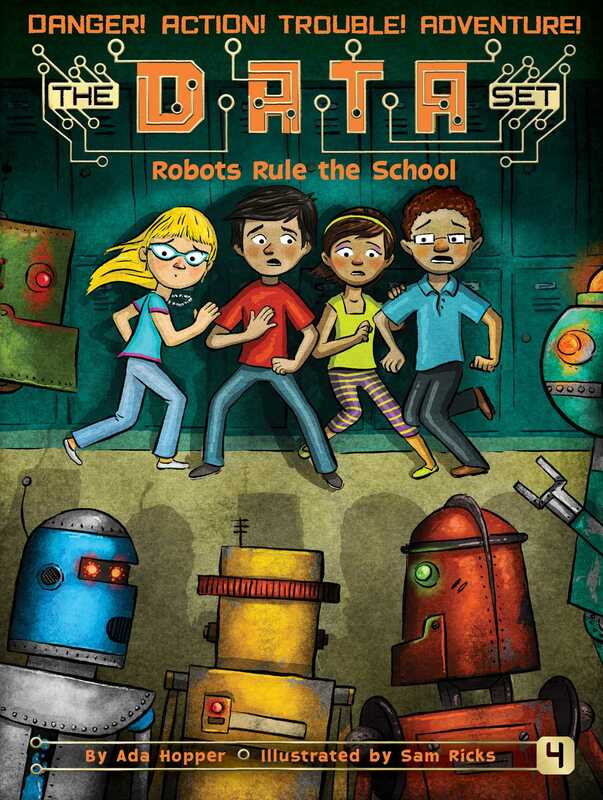 In the fourth DATA Set adventure, the DATA Set race to deprogram an army of robots before they take over Newtonberg Elementary School. One morning, Mrs. Bell, the science teacher, challenges the students to invent their own robots. The class builds their best creations and on presentation day, everything goes well…until all the robots start malfunctioning! Now it’s up to the DATA Set and their new classmate, Olive Thompson, to deprogram these machines before an army of robots take over the entire school!